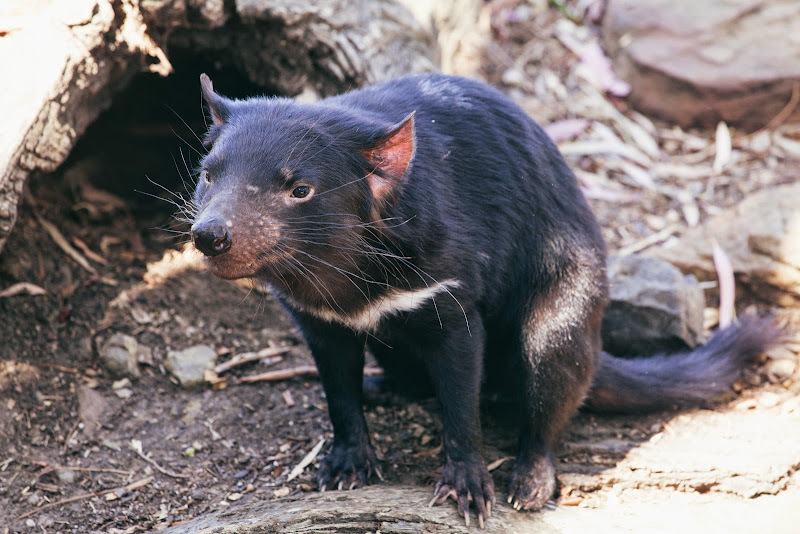 Our travels around Tasmania helped both Thomas and Samuel develop a deep fascination with Tasmanian Devils. I’d always thought of them as vicious, disgusting animals but, the more we learned about them, the more interesting they became. By the time we reached Hobart I was on a mission to find somewhere for us to see the little creatures up close and in person. Thankfully, Bonorong Wildlife Sanctuary offered exactly the sort of experience we were looking for. 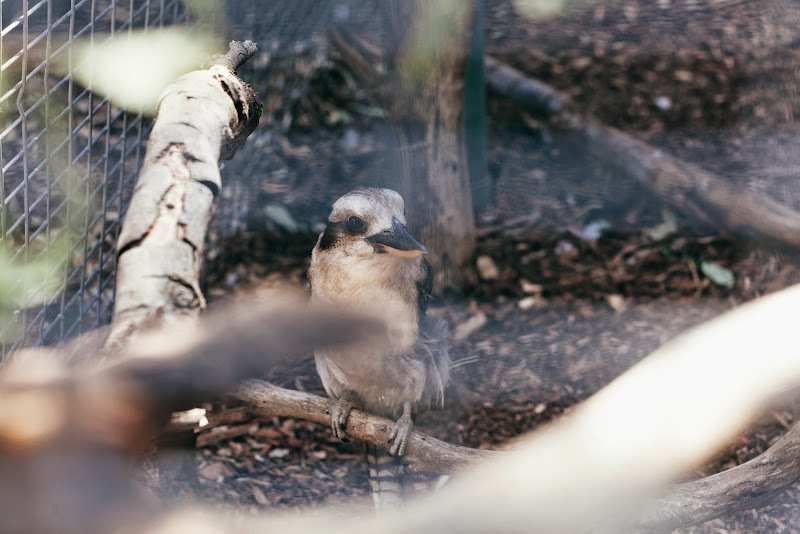 Much like the Healesville Sanctuary in Victoria, Bonorong provides a home for animals who might not survive in the wild due to injury or abandonment. They also house Tasmanian Devils in a quarantine-like environment to help with repopulation. Devils have been afflicted by a mysterious facial cancer that has threatened their population and the Sanctuary is on a mission to maintain a disease-free group of animals to ensure the species’ survival. On the 30 minute drive to the Sanctuary, Samuel gave me instructions to “take way too many photos of Tasmanian Devils” and, while I won’t share them all here, I didn’t disappoint. 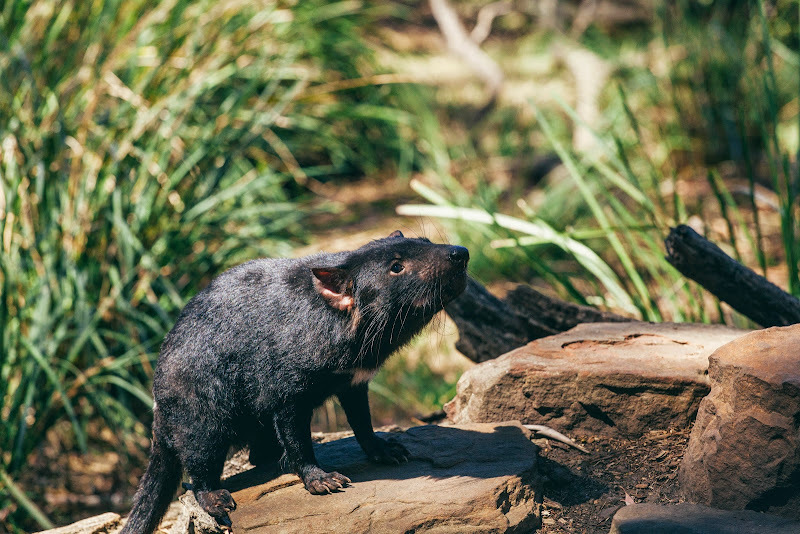 We listened to a Ranger talk about the Tasmanian Devils and I can’t help feeling that they’re a little misunderstood. Sure, they’re smelly and sound like angry little monsters, but they act as nature’s cleaners. I assumed they were vicious predators but, in fact, they only feed on animals that are already dead. So I guess they’re doing us all a favor. Unfortunately this does make them extremely vulnerable as a lot of their food can be found on roads and they are often hit by cars. After the tragedy of losing the Tasmanian Tiger to extinction, I appreciate everything that the Tasmanian Government and places like the Bonorong Sanctuary are doing to help ensure the Tassie Devil survives for generations to come. But, as “cute” as these little guys were, this fat little guy was more my style. 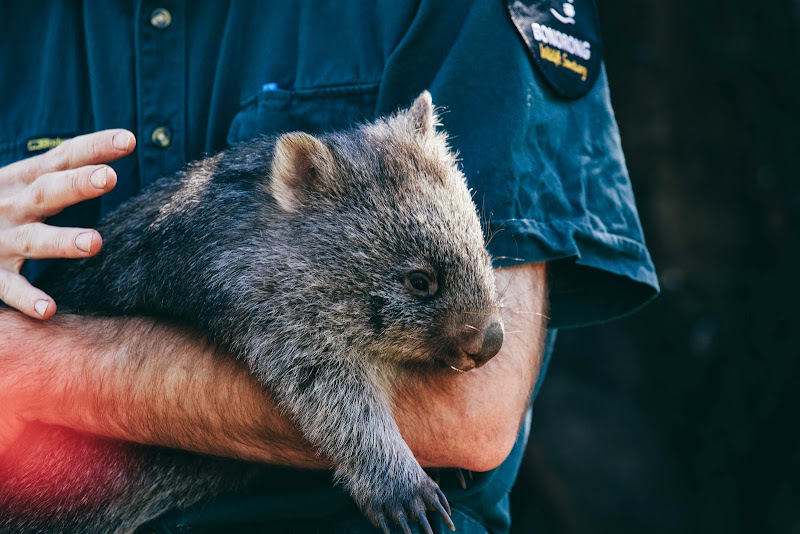 Wombats are adorable little battering rams. I have memories of coming across them when we used to camp at Wilson’s Promontory. We’d never get too close because we were warned that they’re not a fan of strangers and, while they look harmless, wombats are incredibly strong. After giving us a lesson in all thing’s wombat, the Ranger passed him around so we could knock on his thick rump bone(he couldn’t feel it). Fun fact: wombat pouches face backwards so they don’t fill with dirt when a mother wombat is digging a burrow. This means that a baby in the pouch will look backwards and you may sometimes experience what looks like a two-headed wombat. 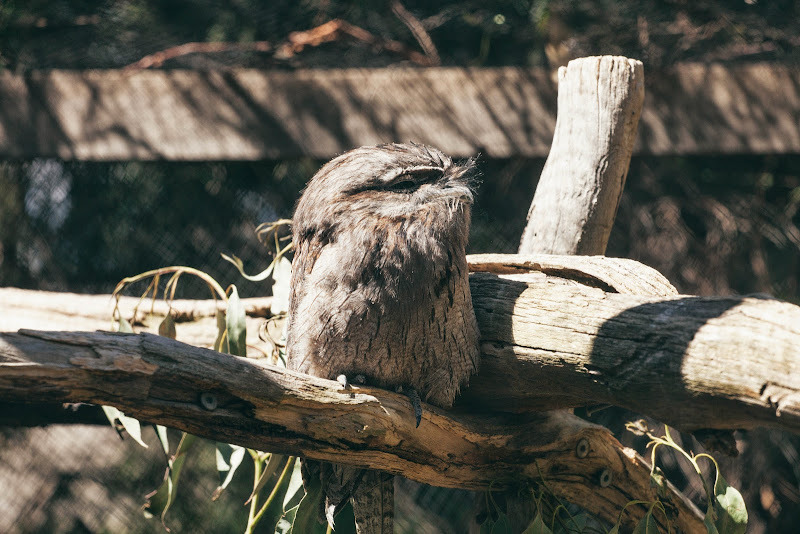 …and the Tawny Frogmouth – one of the most interesting creatures I’ve ever seen. 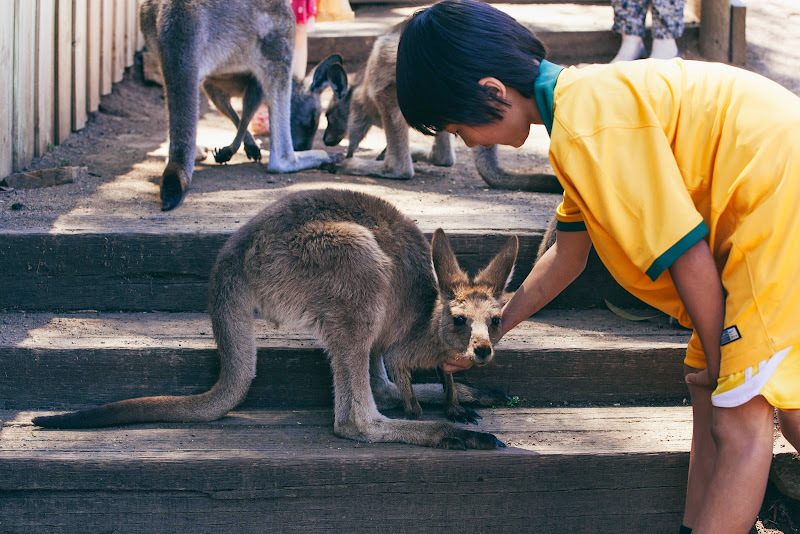 Finally, a trip to a Wildlife Sanctuary is not complete without the opportunity to get up close and personal with some of Australia’s most famous residents. 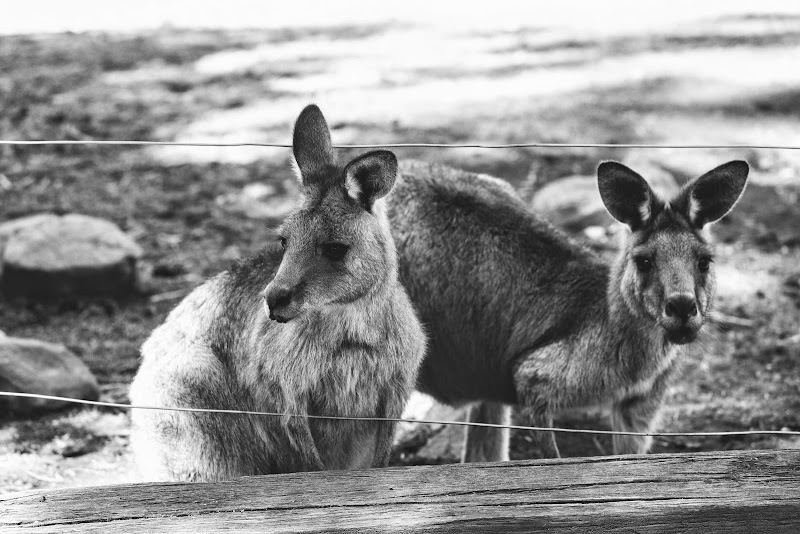 We set out with a supply of kangaroo food and strict instructions to only pet them on the chest to avoid an unwanted encounter with some powerful legs. As a special treat, we were able to see some joeys still in the pouch. Can you spot this one? I think I’d be telling him he’s big enough to leave home if I was that mama. 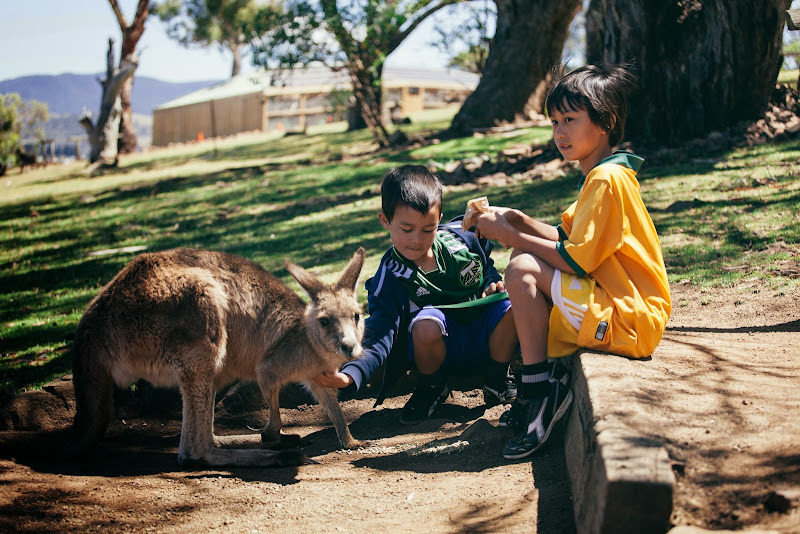 The Sanctuary provides a safe area for Kangaroos and Wallabies who have had enough of human interaction and just want a quiet space to hang out. 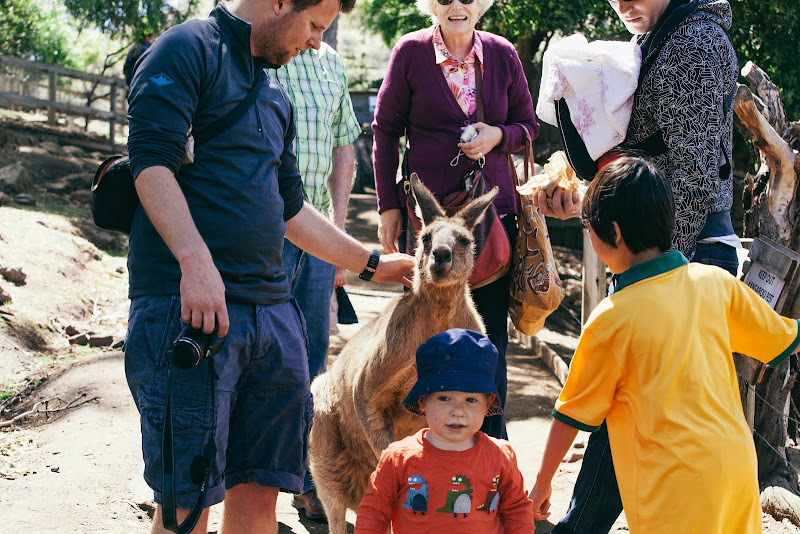 I took this next photo just to show how big this kangaroo was next to the toddler. In fact he was bigger than Samuel. He was also pretty pushy about getting to the food so we chose to walk away and find some calmer friends to hang out with. I’m so glad we had the opportunity to visit the Bonorong Sanctuary. 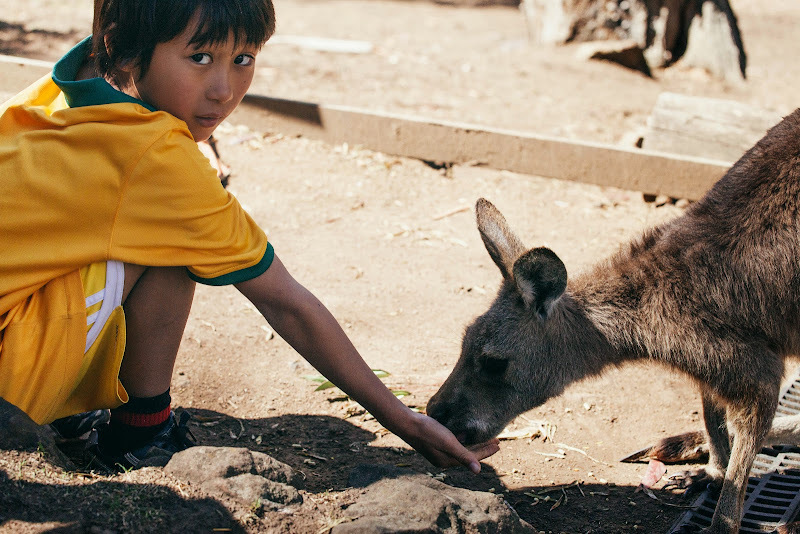 If you look back through my posts recapping our trips to Australia then you’ll see that I try to ensure at least one interaction with Australian wildlife on every trip. 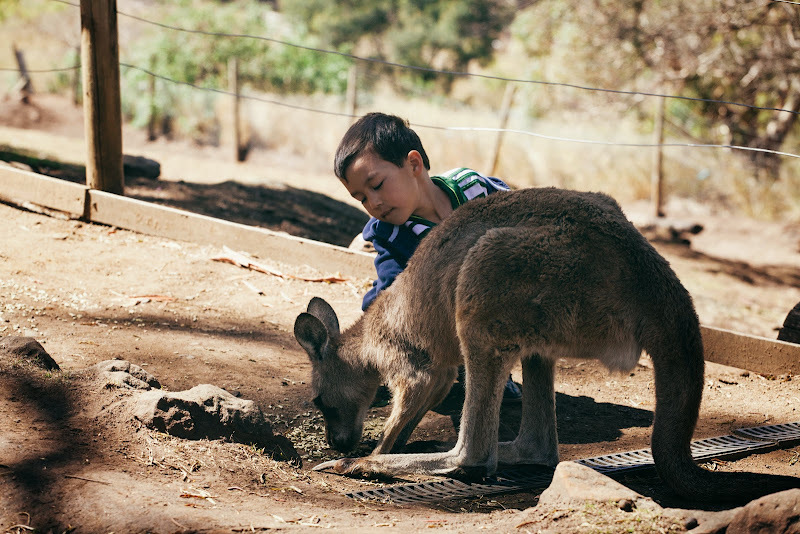 I’m hoping that by feeling close to these animals, it will help my children connect more closely with their Aussie side and understand just how special this place is. Like no other place on earth. 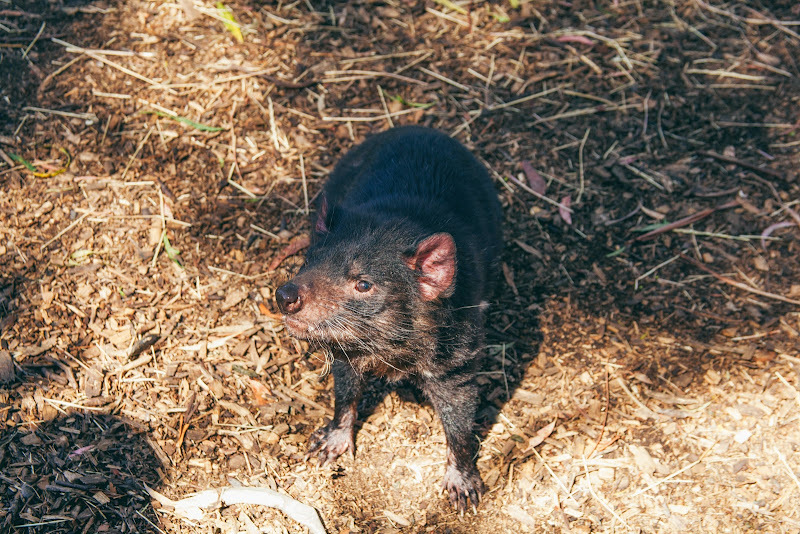 This entry was posted in Australia, Photography, Tasmania, Travel and tagged Animals, Australia, Bonorong Sanctuary, Hobart, photography, Tasmania, Tasmanian Devil, travel. Bookmark the permalink. 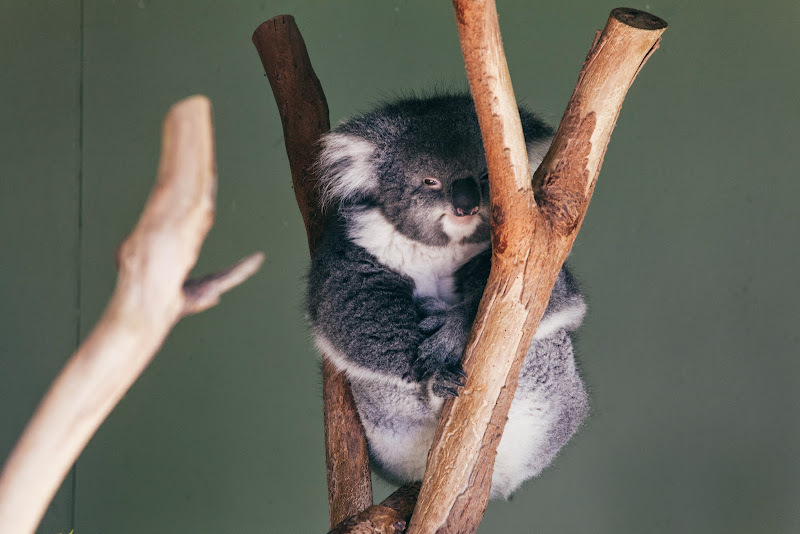 I love how Koalas always look so zen. I don’t think I’ve ever been more satisfied by softly patting an animal. So wooly! 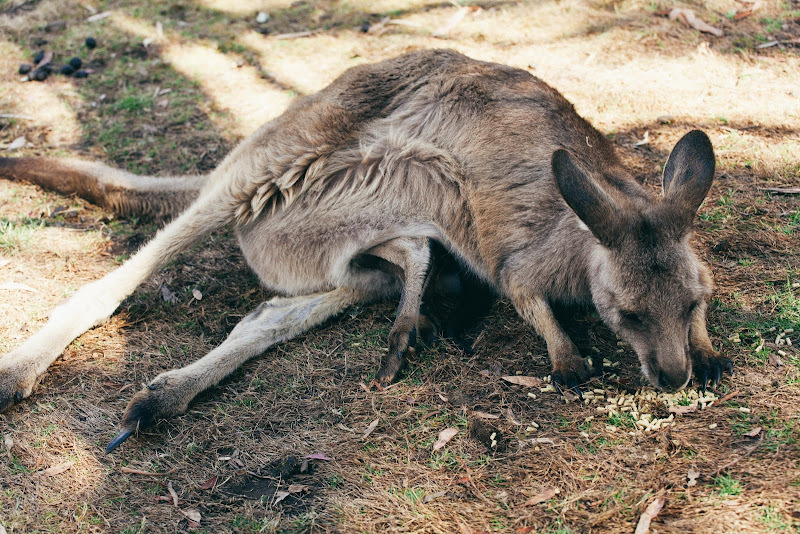 We didn’t get to see wombats at the Australia Zoo when we went, or a massive joey in a roo’s pouch – great shot!